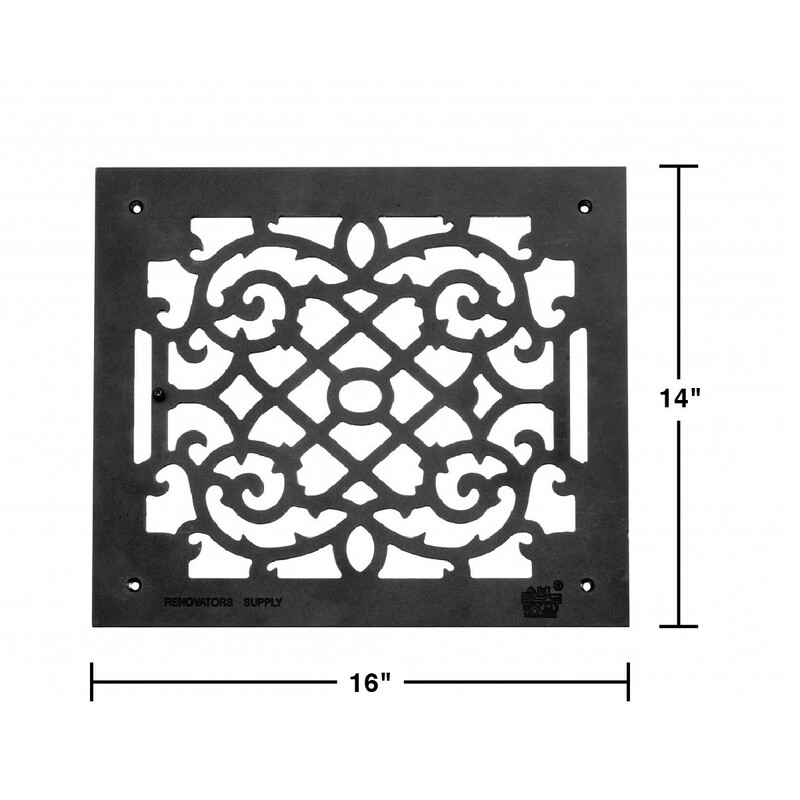 Historical scroll designed Air Grille, a perfect period style renovation. 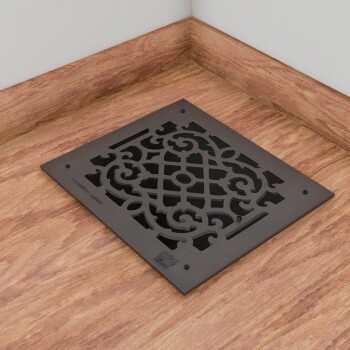 The period style scroll design make this floor register perfect for any home restoration. Made of cast aluminum, they are rustproof and maintenance-FREE. Treated with a baked-on black powder coating, each grille has a luxurious black finish and Renovator's Supply logo. Mounting hardware is not included. The overall measure is 13 7/8 in. x 15 7/8 in. 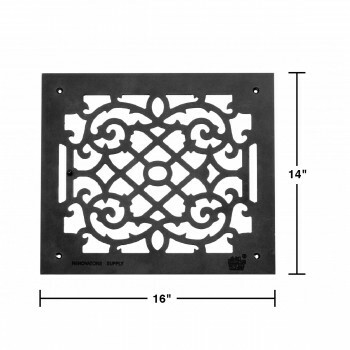 Air Grille Historical scroll design is a perfect period style renovation. Item ID 23100Features Authentic Renovator's Supply Logo.